Investing in a surveillance system for your property or commercial premises is one of the most effective ways to enhance security at your site. Haden Fire & Security are a leading provider of high quality CCTV systems, based in High Wycombe and able to serve customers from across Maidenhead and further afield. Adding CCTV cameras to your residential property, office or commercial building could dramatically improve the level of protection for your home or business - and can be more affordable than you might imagine. Our comprehensive design, supply and installation service means that we can tailor CCTV camera systems to match the exact requirements of our customers. From a basic set of cameras to a complex, premium system, our CCTV installers can fit a range of surveillance technologies to suit every budget and requirement. We stock all of the latest technology, and specialise in installing modern, reliable systems which won't let you down. Wired or wireless, large or small, we can supply a system to suit your property. Advances in technology mean that it is now possible to monitor your cameras from your mobile or PC. It is now easier than ever to keep a close eye on your property, even when you are away. 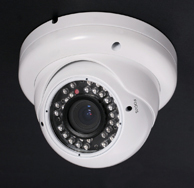 For more details on the CCTV technology we can supply and install, contact us today on 01494 525183. We also specialise in fitting security alarm systems, so call now to learn more about the security solutions that we can provide. Available in a wide range of quality of footage, suitable for all budgets and situations. We can also carry out a full CCTV maintenance service, highlight areas of potential weakness in your current system and provide replacement cameras.